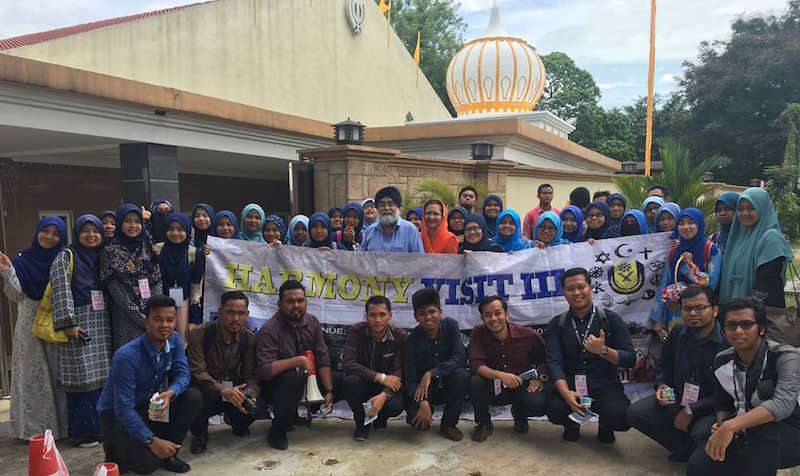 Some 50 students and two lecturers from a Malaysian universiti visited a gurdwara in Selangor on Vasakhi day (14 April 2018). 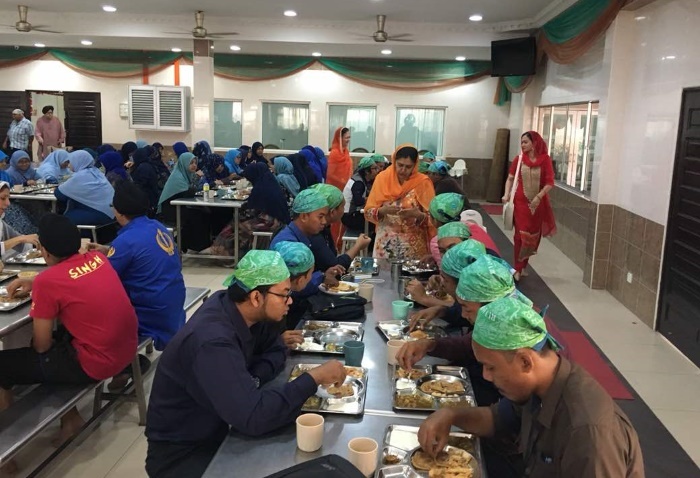 The students from Universiti Sultan Azlan Shah, based in Kuala Kangsar, Perak, also partook Guru Ka Langgar breakfast at Gurdwara Sahib Ampang. Gurdarshan Kaur, an active volunteer at the gurdwara, briefed the students on the Sikh faith, the Sikh scripture Sri Guru Granth Sahib Sahib (SGGS) and the formation of the Khalsa on Vasakhi in 1699. They also witnessed the raising of the Khalsa flag (Nishan Sahib di selami) and observed the progress of an akhand path (continuous reading of SGGS). 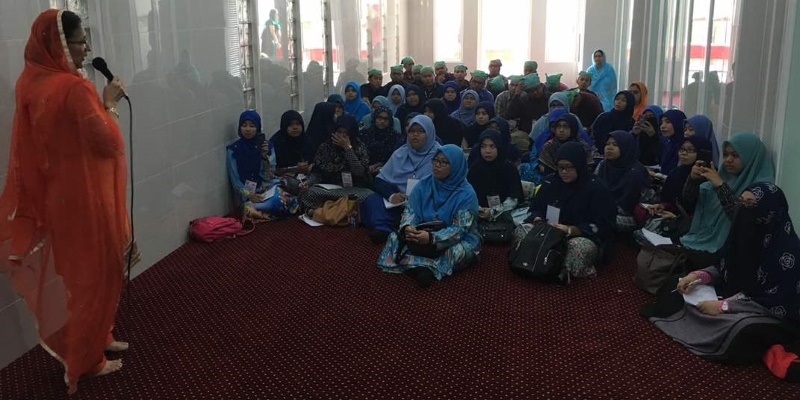 As part of the Vasakhi programmes, the gurdwara had also organised a medical talk by Dr. Harjit Kaur Perdamen from Prince Court Medical Centre, a member of the EKTA group, on he ‘Art of Being Breast Aware, which was well attended. 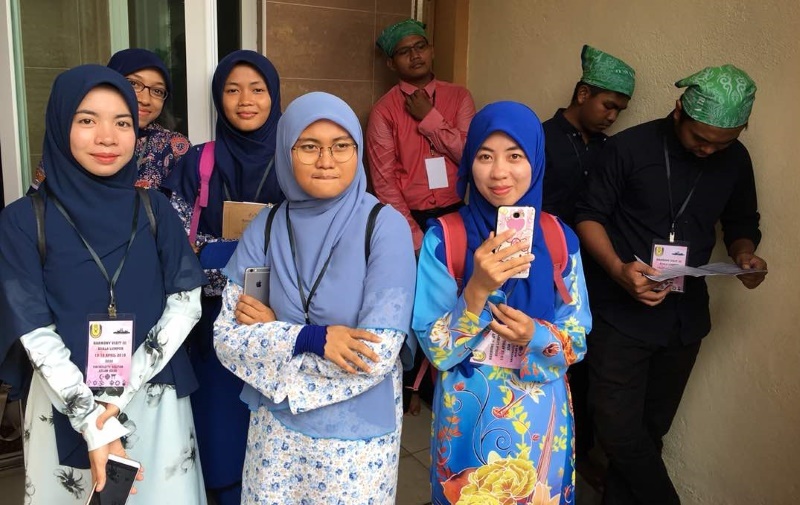 Earlier in th day, they organised an eye checking clinic managed by Dr Pall singh ji from Tun Hussein Onn Eye Hospital, Petaling Jaya. “He would bring along family and friends. They would respectfully enter the Darbar Sahib, mingle with the Sikhs and partake the Guru Ka Langgar,” said one gurdwara committee official.